The CIG to the Art of Songwriting comes out tomorrow! 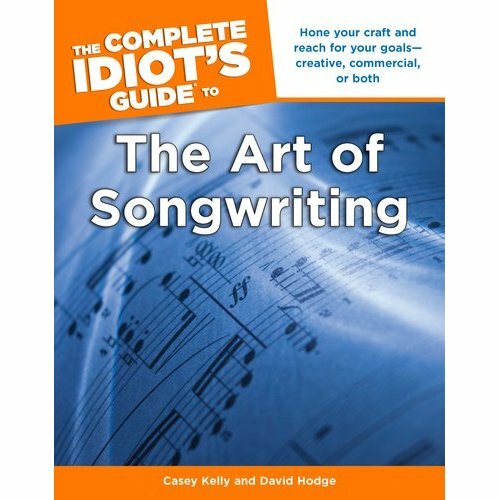 I’m thrilled to announce my latest book, The Complete Idiot’s Guide to the Art of Songwriting will be available at bookstores everywhere as of tomorrow, August 2! Guild of America Board of Councilors member, and Vice President. This is also a new experience in that this book is the first of mine that’s available forÂ Kindle and other online electronic book devices. I don’t think that was even possible for my first book, and that came out just five years ago! Anway, there’s a lot here that hopefully you’ll like and enjoy. And, if it’s not too much to ask, should you decide to order one through Amazon, be sure to use the Guitar Noise affiliate link. And, as always, don’t hesitate to either post a note here or drop me an email directly (dhodgeguitar@aol.com) with whatever questions you might have. Bought your book Idiots Guide to Guitar Theory. Tried to find the tracks at idiotsguides.com/guitartheory and I’m taken to book companies selling your book. Where are the Tracks???? I hope this helps. Let me know if you have any difficulties downloading the files. Thank you once more for picking up the book. I look forward to chatting with you again.